Choosing a hardwood flooring company that will come and replace your hardwoods is no easy task. Of course, you could always do it yourself. All you have to do is demolish the current floor, get all of the supplies, tools and materials you'll need and you're good to go?right? Unfortunately, it's not quite that simple. Leave replacing your current floor with hardwoods to the professionals. 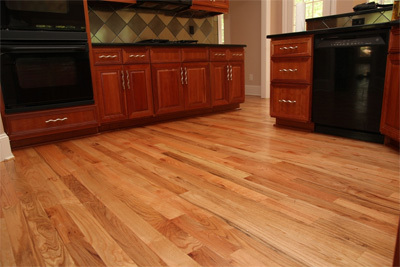 When searching for hardwood flooring in Hamilton Mill, look no further than Flooring Service Group. Our experts will walk you through the entire process whether it's a completely new installed hadwood floor or we are sanding and staining your current hardwood that's lost its luster. At Flooring Service Group, our expertly trained staff specializes in installation, sanding, staining and repairing hardwood flooring and stairs. We will professionally install engineered or prefinished floors for you with dedication, perseverance and precision. Our design team is among the best in the country, and will floor you with their professional approach, attention to detail and their creative, outside-the-box thinking. The professionals at Flooring Service Group have been serving Hamilton Mill and the surrounding areas for nearly a decade. They will help you procure a hardwood floor that will be durable and essentially life-proof for years to come. Hardwood floors are known for their warm beauty and timeless luster. However, hardwoods are a lot more beneficial than just aesthetic pleasure. The addition of hardwoods to any kitchen, bathroom or entire home automatically gives the impression of sophistication and likely increases the home's value. On top of that, they are eco-friendly, green and recyclable. Wood floors are much easier to keep clean, as they resist spills and do not trap allergens such as pet dander, mold, bacteria and different types of pollen. For this reason, they are often recommended for clients who suffer from seasonal allergies, asthma and chronic lung disorders. There are so many qualities and types of hardwoods that it may be hard to narrow down. It's a good thing our courteous and friendly Hamilton Mill hardwood flooring staff is here to answer any questions you may have. Our goal is to get you the best possible flooring for your dollar. We pride ourselves on our customer service and refuse to be undersold by some floor-in-a-box company. Our team will allow you to have the best value for flooring in the area.